As a leader of Ars Erotica Foundation I was involved in a two-year Grundtvig project (www.bodyproject.eu) funded by the European Commission under the Lifelong Learning Programme. The BODY project had the overall aim to explore how our perception of the body and body-related themes such as health, disease, gender, age, sexuality and disability is influenced by cultural differences and on the same affects our intercultural communication. Partner organizations in this project have been involved in research and training activities in the intersection of cultural diversity and body (Elan Interculturel) gender (MHTConsult, CESIE, Elan Interculturel, Ars Erotica Foundation), disability (KVG), and sexuality (Ars Erotica Foundation, CESIE, KVG.). It is our common observation both in research and training that factors related to the body and gender become ‘sensitive zones’ in cultural contact zones. Yet the resources available – both theoretical and practical – are rather scarce. Engagement in an applied research on cultural differences in gender, body and sexuality and the translation of the results into applicable training materials and trainings is in line with our strategic objectives. Our goal was to provide exemplary knowledge and experience on how professionals can handle cultural differences linked to the body in an appreciative and respectful way. It may apply to adult teachers and trainers as well as counselors, integration workers, health workers, social workers, job consultants, sexual supervisors, disability consultants and other frontline staff all over Europe. Based on the specific method of Critical Incidents proposed by Margalit Cohen-Emerique, the partners in the BODY project have collected and analysed a large number of concrete examples of how professionals in many different contexts have experienced and handled “culture shock” in reference to cultural perceptions of the body and body-related themes such as disability and sexuality etc. We also identified a wide range of examples that illustrate how people around Europe through professional cultural encounters have developed best practices to accommodate cultural differences in body language and body image. 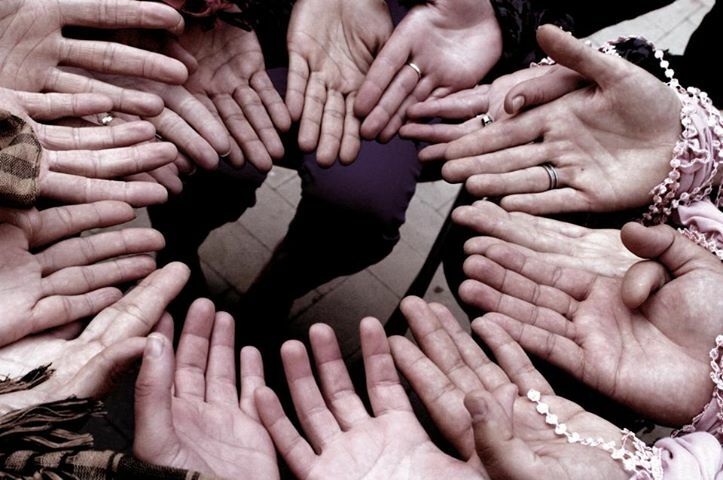 The best practices all operate in the intersection between culture and body where intercultural empathy and respect have overcome the communication challenges and barriers that traditionally are known to be linked to the specific communication of the body. 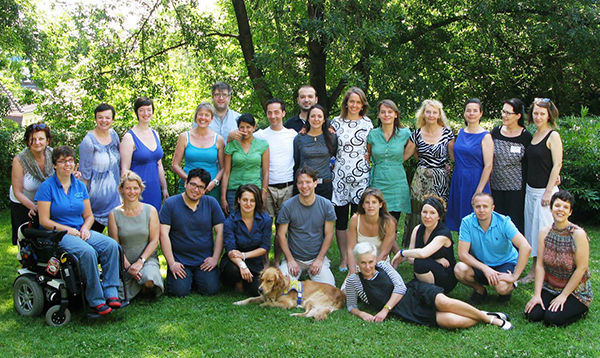 Within the project two pilot trainings were held in Budapest and the final international training in July 2013. Adult trainers learned to construct more inclusive and efficient trainings on issues related to the human body, health, sexuality, interculturality, thereby offering pathways for developing civic, social and intercultural competences and developing attitudes and skills concerning health, body and sexuality. Innovations of the training: application of scientific theories and approaches, training construction based on participation of target group. The manual including training materials, case studies, Critcal Incidents from 5 participant countries and theoretical background articles and the anthology is available at bodyproject in English, Italian, Hungarian, French, Danish and Dutch. You can read my article from the BODY anthology: Introduction to the intercultural approach of sexuality. Attending our Grundtvig In-Service training from the 1st to the 5thJuly in Budapest were adult trainers from Denmark, Italy, France, Hungary, Netherlands, Turkey and Belgium – sharing their professional experiences and getting new knowledge inputs to be able to construct more inclusive and efficient trainings on issues related to the human body, health, gender, sexuality, disability and interculturality, thereby offering pathways for developing civic, social and intercultural competences and developing attitudes and skills concerning our key-topics. The training focused on the necessary competences to deal how to overcome intercultural challenges in training/counseling/coaching situations. BODY training was more than a training to me : not only useful but inspiring and empowering. I particularly appreciated the coherence between form and contents, and the roundtrips between experience, introspection and group reflection on possible practical applications, who can help as well as for individual support as for organization of group actions. The body training in Palazzo Adriano was an amazing experience. To see how I could use it in classes i would have to differ in primary schools, secondary schools and teacher training schools. 1: the pictures. in all kind of groups you can do this. let persons look at all the pics and choose the one that impresses you most. Than ask who wants to explain why. Without pressing one to say something. The pictures can be chosen for any theme. But also defer in extremes. 2: the agree, disagree and anything in between. After every proposition an explanation by someone. again without pressure. 3: coming out game. a good moment for an introduction in any group. you can choose any proposition. the one to make the person feel enough comfortable and some to bring them out of their comport zone. In all groups it was done with pleasure and as open as possible. Some, like students from teacher training schools, wanted more confrontation. Sometimes I say. when I see the group the first time I decide to take some propositions out. Just to discuss how teachers sometimes make a decision what kind of proposition is acceptable for a group or not. You can discuss afterwards if that is a good thing or not. 4: the gender, cultural and religious Identity. On paper you get an Identity and you have to identify yourself with that person. You do a step forward or backward if some proposition relates to you or not. Great to see how we almost agree to the positive position of women,men, white, black, third world person, religious person and more if you stand in front or at the back. At the back is the worst position. You can do this with kids and adults. This week told me that the way the workshops were given made a safe environment. Made the persons more open. and because of that difficult to say goodbye. All of them will stay in my heart. Next time I would like to do the narrative training.